With the tragic passing of Bobbi Kristina Brown, daughter of Whitney Houston, at the young age of 22, the effects on a child whose parent has a drug addiction have sparked interest. While it was widely known that Houston had battled with drugs throughout her career, the impact it would have had on her young daughter may have been forgotten. CEO of charity Drug FAM, Elizabeth Burton-Phillips explains how children who have lost their parents to an addiction often deal with very different circumstances to others dealing with bereavement. 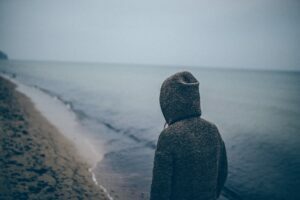 Burton-Phillips suggests that having a family member dealing with addiction is bereavement in itself, as they have essentially lost the person they once were. This when followed by death, is regarded as the second bereavement. When a child loses a parent to addiction, they will experience a double grief process – this can often leave them with conflicted feelings. The stigma connected to drug addiction can only make the stressful process worse. In some cases, it is often found that family members tell the child not to discuss how their parent died to their friends, or the child may be too ashamed and impose this rule on their own. It is common for people who have lost loved ones to not talk about what has happened. This has become one of the biggest problems faced when losing someone to addiction. Burton-Phillips says her charity is trying to give the children a voice – she explains how young people find themselves locked into a ‘grief silence’ and are embarrassed to talk about what has happened. Dr Valentine says that guilt can be another issue. In situations like these, the child can feel they are at fault. A child affected by a drug-related death can often be ignored. During post-bereavement, the family is distracted and focus is on the member who has passed away; this distraction can lead to the child not getting enough support or attention. While many situations like this can lead to the child following the pattern of their mother or father’s addiction, it isn’t always the case. Losing a parent to addiction can also result in sleep problems, feelings of isolation, anxiety and panic attacks. In all situations, it is important that children are given the help they require. No child should have to suffer with a parent’s death alone and support should be available. The stigma associated with drug-related deaths need to be torn down so people can talk about what they are going through and begin the coping process. If you would like to know more about drug addiction, please visit our addiction factsheet. PSYCH-K® - Change your perception, change your life! Depression: how can you help someone who is experiencing it?